← 2013: 3rd of 13 Things I Want to Know: What’s The Yahoo ‘Better World Ripple Effect’ Doing at a Hair Salon? A youngster named Albert comes up with ideas about the nature of light that change our grasp of the universe forever; Ideas such as speed limited, distances stretching, and a four dimensional world, where the 4th dimension is time; Ideas that to this date are difficult for most to comprehend. It took him another 10 years to put together the math to prove it. That math generated some odd predictions. Like the theoretical possibility of stellar-sized mass concentrated in an infinitely small space, where time stands still. I need to read that sentence that I had just written one more time. How can that be? The laws of nature will prevent something like that from ever materializing. Or so he thought. He was wrong. Astronomy and space exploration are probably the most popular fields of science among non-scientists. School kids get excited when learning about the Solar System and building models of it. Teens and adults are entertained by sci-fi movies and video games taking them off planet. One of the most popular hobbies is building telescopes. And how many people blew up stuff in their back yard, attempting to build a rocket, as opposed to, let’s say, the number of people who tried to build a pasta maker? I was just reminded this week about several rockets built by several students led by Eytan Rath at my high school as a private initiative, that were launched with the quite irresponsible assistance of the English teacher (just don’t tell the principal!). I am not sure how much that effort was fueled by a desire to explore space, I will have to ask. In any case, it’s no wonder that scientific discoveries in the astronomy field get more attention than in any other field. And among the most popular objects of observation and discovery are black holes, objects in space so dense, they pull and swallow everything around them, and even light can’t escape heir gravity. If they emit no light, we can’t see them. How then, did we find that they really do exist? It is not entirely correct that we can’t see them, even though they won’t appear as in the picture above. Gas and cosmic material may swirl around them, swept up in the surface rotation, before falling in. Hawking showed that they emit small amounts of thermal radiation. Planets may revolve around them in speeds and orbits unexplained by other bodies around. There are ways to indirectly ‘see’ them. But let’s take a step back. 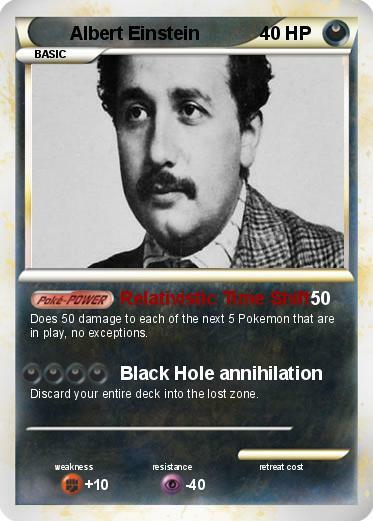 Einstein has shown that gravity can affect light’s motion. In 1915 two other researchers gave solutions to gravity fields in a point mass, and have shown that there is peculiar behavior where it becomes a singularity and other terms in Einstein’s equations become infinite. In 1931 it was calculated that a star above 1.4 solar masses, at the end of its life, has no stable solution. If it’s not much bigger, as a ‘White Dwarf’ it will collapse into a ‘Neutron Star’. But in 1939 it was theorized that for bodies larger than 3 solar masses, they will collapse all the way to a singularity. Such a collapse can occur when the gravity of the object is greater than the pressure resisting it, which happens when the core of the star cools off. There are no laws of physics to stop it. All in theory. For the next 20-30 years the subject remained a theoretical curiosity. Interest started to peak in the 1960’s again because pulsars were discovered – rotating neutron stars. Stephan Hawking, his colleague and friend Kip Thorne, and Thorne’s mentor John Wheeler are the 3 most renowned physicists who had the most impact on the research in this field. In fact John Wheeler was the first to use the term ‘Black hole’ publically in a lecture in 1967. Many others, however, dedicated their entire careers to this research, as it became clear that such objects do exist, and as their study became a legitimate scientific topic. 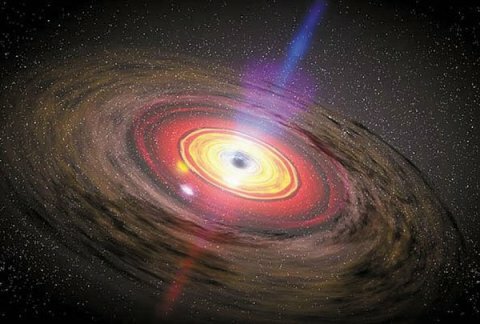 The strangest part discovered about black holes is that after one becomes stable, you can measure its three characteristic properties: mass, charge, and angular momentum – because they can be measured from the outside, however you can never measure anything about what has subsequently fallen into it. You lose information because it gets crushed into the singularity, and the only way for information to come out is in case of split particles. This is also the way for black holes to ‘evaporate’ or lose rotation: if a particle goes in and gets split in two, it is possible for one of them to get more energy and escape, while the other goes in with ‘negative energy’, slowing down the rotation. Another bizarre effect is the ‘gravitational time dilation’: If an observer on a starship is looking onto a shuttle that is falling into a black hole, the shuttle passengers experience this immediately, but to the outside observer it appears to slow down as it approaches the event horizon – the ‘point of no return’, taking an infinite amount of time to reach it. Clocks on the shuttle would seem to the outside observer to have slowed down, until coming to a full stop. Light emitted from the shuttle would appear redder and dimmer – a gravitational redshift – until it fades completely. This process was featured quite realistically in one of the best episodes of the TV series Stargate: SG-1, ‘A Matter of Time’ (1998). See in a list of ‘Popular TV Shows Featuring a Black Hole’ at Stardate’s Black Hole Encyclopedia. The mysteries don’t end there. Since the 1970’s astronomers learned how to look for signs of black holes, and how to measure their mass. As bigger and bigger ones were identified, scientists became very puzzled. A black hole measuring 3 solar masses can be explained as a big star collapsing. Note that usually original mass is much larger, mostly lost in a preceding supernova, so such an object could have originated in a star with 12-15 solar masses. How do you explain ones measuring thousands of solar masses? Millions? Billions? Research in the 1990’s and 2000’s led to the discovery in 2002 that there is a ‘super-massive’ black hole in the Milky Way, and to confirmation that at the heart of every galaxy seen there is such a giant black hole. Their existence may be explained by very massive stars that formed and collapsed in the early universe, during the initial formation of these galaxies, when matter clusters were denser. It would seem their nature is tied to and can help explain how galaxies were formed. Some of them might have been created shortly after the big bang, and have been growing since, by assimilating matter around them. Black holes might also grow when two galaxies collide: their black holes can merge into a bigger one. 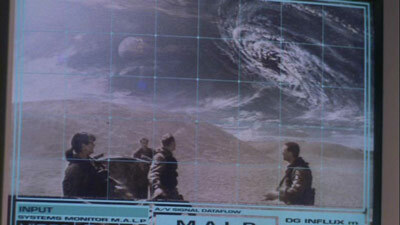 In the last couple of years real giants were discovered where their mass is measured in the billions of solar masses. Luckily they are located hundreds of millions of light years away. That’s very far. This entry was posted in Astronomy, Sci Fi and tagged Albert Einstein, Black Holes, WPLongform. Bookmark the permalink.